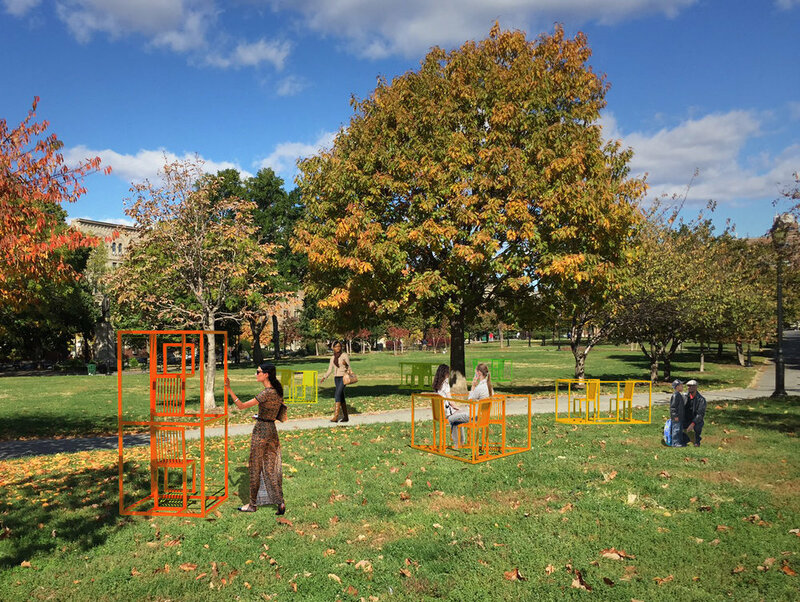 Sitting Together consists of a group of six sculptures to be installed at the Joyce Kilmer Park in the Bronx thus summer 2018. The installation critiques and challenges the standard proceeding of a courtroom case by re-shaping and re-imagining the witness stand. 43 Preguntas is disappearance of 43 students from the Rural Teachers’ School of Ayotzinapa. The installation consists of 43 torn pages from a burt composition notebook with one question written on each page. The visitor needs to step on a box of soil to read the questions.